Canterra's sire is R&R Maximus 077P, a black grandson of Kelowna's Salute to Cuzco. 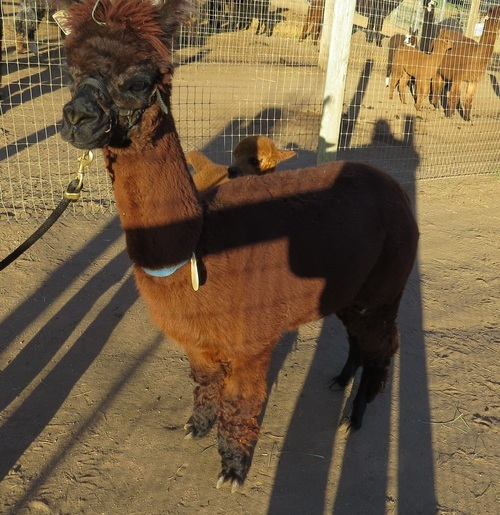 Her paternal grandsire is R&R Alder 097L, one of the main herdsires at R & R Alpacas for many years. 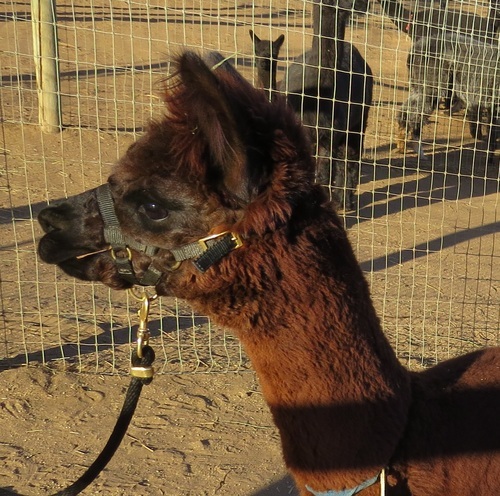 Canterra gave us ESTATES CABELA, a lovely medium brown female cria out of Forbes 50T, on August 5, 2012. Canterra gave birth to ESTATES CLEMENTINE, a pretty light brown female out of Valkyrie of PVA, on 12/3/2013. Canterra presented us with ESTATES KILEY, a beautiful dark brown female out of Patagonia's Ernesto, on 7/1/2015.